Jaguar Land Rover has officially announced that the Jaguar C-X75, Land Rover Sport SVR and Defender Big Foot will appear in the upcoming Bond film SPECTRE. Spy shots from the set in Austria already revealed the special Defender and some Range Rovers. 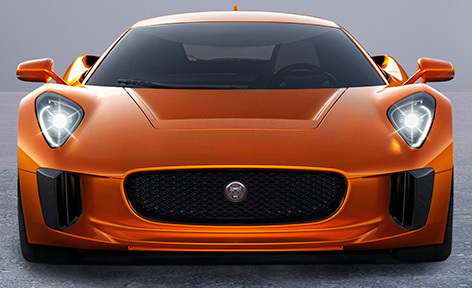 Rumours about the Jaguar C-X75 started to circulate online already in December 2014, but finally Jaguar has confirmed that this unique sports car will be seen in Bond 24. The Jaguar C-X75 supercar debuted as a conceptcar in 2010 with a hybrid powertrain that employed micro-turbine diesel engines. Jaguar originally planned to build 250 cars at a price exceeding $1 million, but cancelled the program due to the global recession. The C-X75 vehicles have been built in collaboration with Williams Advanced Engineering facility in Oxfordshire, England. The C-X75 in SPECTRE will reportedly use the F-Type coupe's 5-litre supercharged V8 as opposed to the original concept's hybrid drivetrain. The Jaguar C-X75 will feature in a spectacular car chase sequence through Rome alongside the Aston Martin DB10. Land Rover calls the heavily modified Defender the 'Big Foot' due to its massive 37-inch off-road tyres. Originally built by Jaguar Land Rover as a support vehicle for the company's Iceland, Finland, and Morocco product launches, the Big Foot is fitted with several foul weather and terrain modifications including bespoke suspension systems and enhanced body protection. 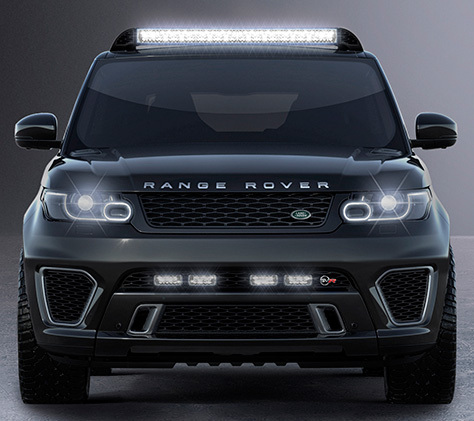 The Range Rover Sport SVR is Land Rover's fastest and most powerful production car ever. With 543 horsepower and high-performance suspension, brakes, and tyres, the SVR managed to lap the notorious Nurburgring Nordschliefe test track in just 8 minutes and 14 seconds last year. Not only the fastest SUV ever, but that time puts it firmly in supercar territory, and only 10 seconds slower than an Audi R8 V8. Scenes featuring the Range Rover Sport SVR and the Land Rover Defender Big Foot have already been filmed in Austria in January. 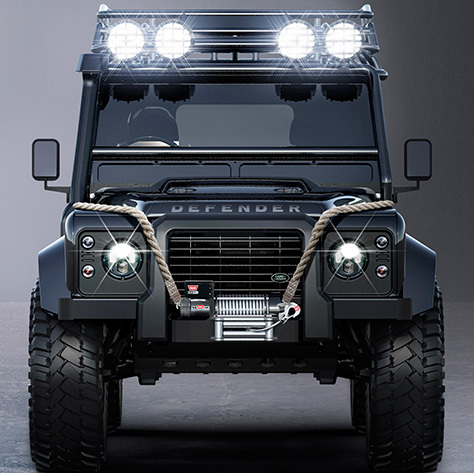 The Jaguar and Land Rovers will be used by villains, most likely members of SPECTRE. The main villain Franz Oberhauser, played by Christoph Waltz, will drive the Jaguar C-X75. It is likely that henchman Hinx (played by Dave Bautista) will drive the Defender, as it seems to fit his character. The move to provide the film's villains with a car is in line with Jaguar's "Good To Be Bad" advertising campaign, which mainly focuses on the Jaguar F-Type sports car. It is not the first time that we see villains in a Jaguar: in Casino Royale (2006), Le Chiffre and Mr. White drive a Jaguar XJ, and in Quantum of Solace (2008) Dominic Greene also drives a Jaguar XJ. In Die Another Day (2002), Zao uses a heavily modified Jaguar XKR. In the 2012 movie SkyFall, the JLR vehicles were used by MI6: the rugged Defender 110 Double Cab Pick Up was driven by field agent Eve Moneypenny, and M is driven around in a Jaguar XJ-L.